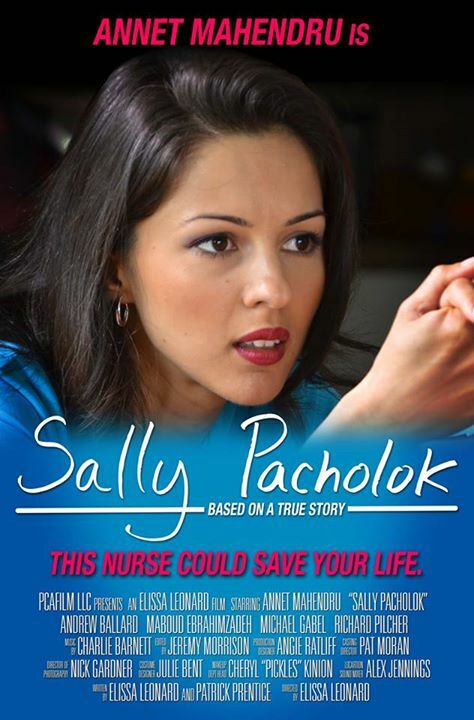 In 2014, film producer Elissa Leonard wrote and directed the movie Sally Pacholok, which is based on Pacholok’s life-long battle to raise awareness about B12 deficiency and the consequences of its misdiagnosis. The drama is fast-paced and cleverly written. The audience is entertained, yet learns what happens when B12 deficiency strikes. Pacholok is an attractive whistle-blower who goes up against a wealthy heath care system and saves lives behind closed doors. The movie explains what forced her to write “Could It Be B12?” Passionate, romantic, and suspenseful, this film shows the power of one woman who changes the standard of care–but nothing is as easy as it looks. Pacholok may be the Florence Nightingale of the 21st century. The movie is scheduled to premier at 7:20pm on February 28, 2015, at the DC Independent Film Festival in Washington, DC at the Naval Heritage Center’s Burke Theater (701 Pennsylvania Avenue NW). This showing has sold out as of February 11. A second showing has been added on March 1, 2015 at 11:00am. When nurse Sally Pacholok learns that her recent bouts of dizziness and fatigue are the result of a B-12 deficiency, she tries unsuccessfully to educate doctors at her hospital about this debilitating, often fatal condition, which mimics multiple sclerosis, Parkinson’s, dementia, and a host of better-known diseases. As she watches misdiagnosed patients wasting away and dying, she decides to write a book.